Liftoff of the SpaceX Falcon 9 for Demo-1, the first flight test of the company’s Crew Dragon spacecraft, is targeted for Saturday, March 2, at 2:49 a.m. EST from historic Launch Complex 39A at NASA’s Kennedy Space Center in Florida. 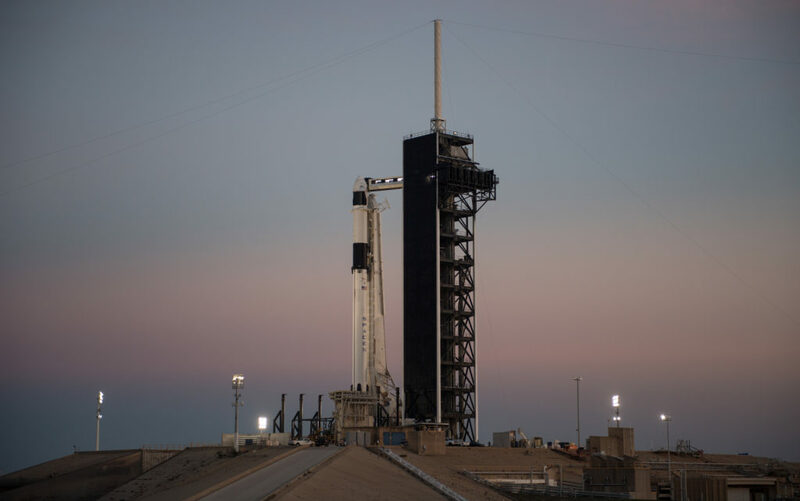 On this uncrewed mission, the first under the agency’s Commercial Crew Program, the Crew Dragon will fly to the International Space Station in an end-to-end demonstration of the company’s ability to launch astronauts to the orbiting laboratory and return them home. To learn more, read the prelaunch feature story. Join us at 2 a.m. for countdown coverage here on the blog and on NASA TV.